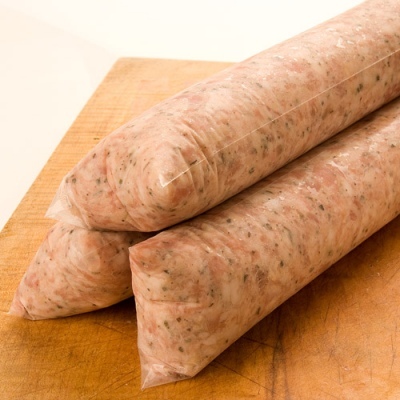 A plain Pork Sausagemeat for cooks who want to make stuffing of their own. Budding chefs can add your own special ingredients – the perfect platform to show off your chef skills! Available in a 454g / 1lb pack. Pork 65%, Water, Rusk (WHEAT Flour, Salt, E503ii), Potato Starch, Salt, Herbs, Emulsifier Sodium Diphosphate (E450a), WHEAT Flour, Flavour Enhancer (E621), Spices, Flavouring Preparation (Spice & Herb Extracts), Preservative (E223, SULPHUR DIOXIDE).